According to emerging theories, the world’s standing forests may be protecting continents against cyclonic storms, such as hurricanes, typhoons and cyclones. But as these forests disappear, scientists anticipate more frequent and more destructive storms. Recent research conducted in collaboration with the Center for International Forestry Research (CIFOR) suggests that forests and cyclones share a fundamental link in atmospheric dynamics, and that changes in one can trigger changes in the other. Both cyclones and forests are characterized by striking amounts of rain, which derives from the atmosphere. 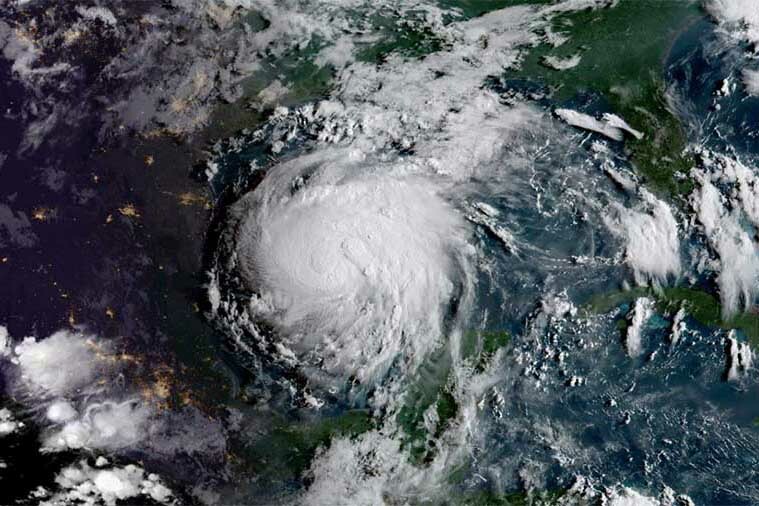 Evidence suggests that by importing atmospheric moisture from the ocean, forests deplete the vapor available to generate and support cyclonic storms. In addition to reducing the number and intensity of cyclones, forests may also reduce the incidence of devastating floods, droughts and tornadoes. Sheil and his colleagues Anastassia Makarieva and Victor Gorshkov argue that sustaining natural forests is a sound strategy for water security and climate stabilization. The emerging ‘biotic pump’ theory argues that vegetation and tree cover may influence rain and rainfall patterns to a greater extent than is generally assumed. While the prevailing view is that winds are determined by temperature gradients, recent studies describe how evaporation and condensation influence atmospheric dynamics. The physical details of the theory and its implications have been published in peer-reviewed physics journals (1, 2, 3) and atmospheric science journals (4, 5, 6, 7). In advancing these ideas, researchers have described failings in the temperature-driven theory of winds (8) and revised the fundamental equations governing atmospheric dynamics (9). CIFOR advances human well-being, equity and environmental integrity by conducting innovative research, developing partners’ capacity and actively engaging in dialogue with all stakeholders to inform policies and practices that affect forests and people. CIFOR is a CGIAR Research Center, and leads the CGIAR Research Program on Forests, Trees and Agroforestry (FTA). Our headquarters are in Bogor, Indonesia, with offices in Nairobi, Kenya; Yaounde, Cameroon; and Lima, Peru. For more information, visit www.cifor.org.